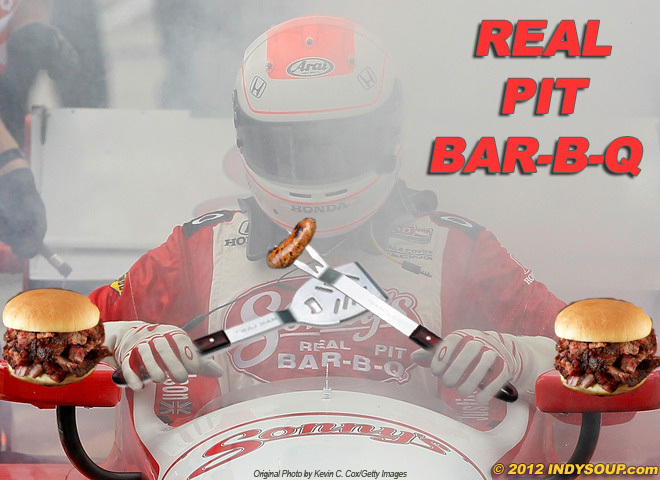 When I started IndySoup shortly before the 2011 season, I had hoped to run a blog with parody videos, snarky comments and photoshop fakes to make fun of the IndyCar drivers, teams, races, series – and myself – not as a form of ridicule, but to literally “make fun” with the only sport I follow. Now, four years and 2 tragic driver deaths later, I’m finding it harder and harder to parody a series that has become so serious, filled with in-fighting, poor leadership, safety concerns and an often vitriolic ‘fan base’ that has become as divided as it has dwindled. Although I will never give up on a series that I have been following regularly for almost 40 years, these are trying times to be a fan. 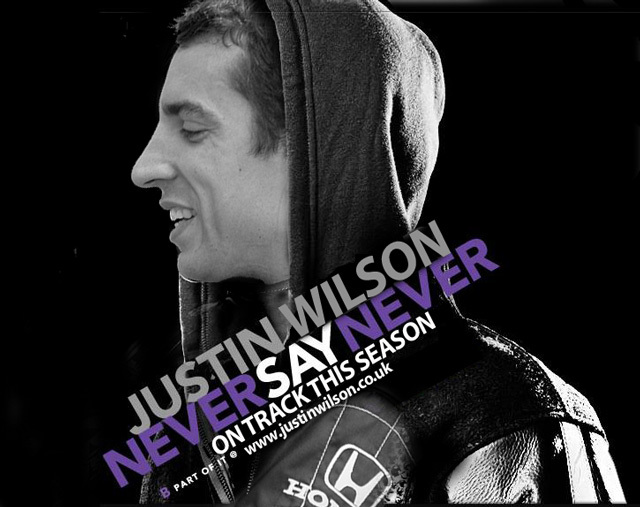 Now, after the loss of much beloved Justin Wilson, I wonder if I can go back to poking fun at these drivers and teams. At this point, I’m just glad we still have an IndyCar series, that it’s still on TV, and that races are still being run. I rarely cheer on a particular driver or even concern myself with the championship, instead, I just hope that everyone finishes the races safely. At Fontana this year, I didn’t find it exciting at all. After witnessing Mikhail Aleshin’s horror crash the year before and Justin Wilson’s accident the year before that, I was relieved it was finally over and no one was seriously injured. 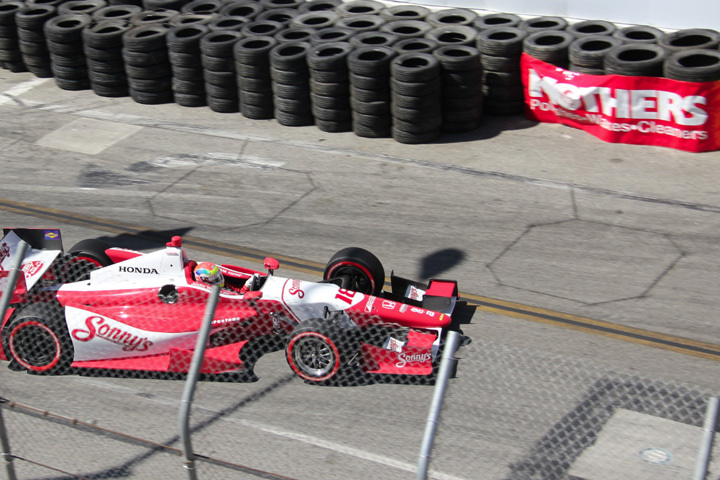 My race highlight for that day was going back into the garage area and seeing Ryan Briscoe alive, standing and smiling. The loss of Dan Wheldon in 2011 was an accident that many of us thought was preventable and unnecessary. Pack racing is for Stock Cars and not what IndyCars were designed to do. However, with the sheer amount of cars involved in that terrifying crash, it was a miracle that none of the other drivers were killed or seriously injured as well. For those of us at the track that day, it was perhaps the moment when the ‘IndyCar Family’ came together in a way none of us could have imagined. The tears and hugs, the lost looks of anguish and utter disbelief, and the solidarity of fans, drivers and teams were shared by all – individual pains attended to by a collective compassion that transcended the tragedy. Justin Wilson’s fatal accident was almost the opposite of Dan’s: one crashing car, one piece of debris and a single impact to the driver. Dan’s crash seemed inevitable; Justin’s seems impossible. But either way, the loss is the same. We, as fans, have lost another driver; their families have lost a son, a brother, a husband and a father. With Wheldon, we had the hope of a newer, safer car that he helped develop to take us into the next season. With Wilson, we end this season not so much with the crowning of a new champion this Sunday, but with the loss of champion and all of us at a loss as to what the future holds. I’m sure Justin, Dan or any other driver would not want their death to be the reason why the IndyCar series should perish, nor that the fans would lose their enthusiasm and love for this one-of-a-kind sport. We, as fans need to do all we can do to support the survival of IndyCar, even if we do not approve of the decisions made by race control, even if we despise Tony George or the Boston Consulting Group, even if we can’t stand each other sometimes. Many critics have foreseen doom for the series, “if this happens” of “if this doesn’t happen,” and so on, but the only thing that can bring the whole thing down is if the series loses the fans. You, me, us…the fans. IndyCar is at a crossroads and I offer no solutions for the safety of the car, the attendance at the tracks or the ratings on TV. 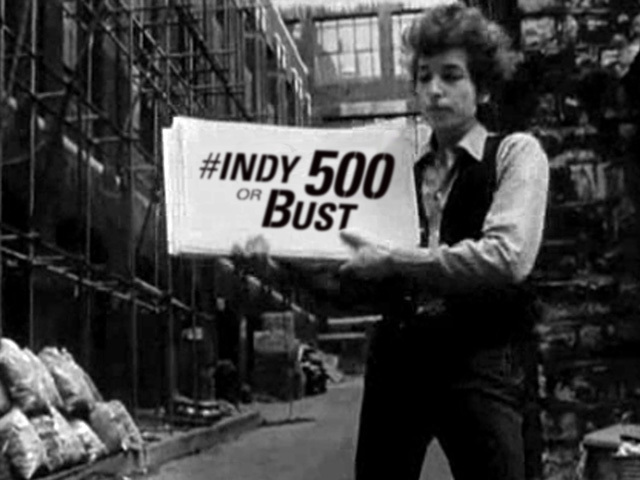 The solution lies with us – the fans – to determine the future of IndyCar. Every driver and team owner, every mechanic and PR specialist, and every radio and TV broadcaster are first, and foremost, IndyCar fans, or they wouldn’t be involved. As I driver who I had seen win many times in CART, I was never really a fan of Michael Andretti; I thought he was arrogant and took his name and position in the series for granted. But in recent years, Michael has done so much to promote races and preserve the series, and to provide talented drivers such as Simona and Justin Wilson with well deserved rides, even when the only ‘sponsor’ on the car and funding came from his own Andretti Autosport. Michael may be perhaps the biggest IndyCar fan at the track each week, as no one has done as much as he has for the series since reunification. And for that, I have become a huge Michael Andretti fan, and I will listen to what he has to say in the upcoming days and weeks ahead. In the wake of 9/11, then New York mayor Rudy Giuliani asked everyone to see a Broadway show, visit Times Square and do all the things tourists can do to support the wounded city. I am mayor of nothing, but I’m asking IndyCar fans to support the upcoming race in Sonoma, to buy a Badass Wilson t-shirt, and to donate to JW’s family fund. Even more than that, to continue to enjoy the IndyCar series – warts and all – and to keep the faith, love the family and have all the FUN that we as IndyCar fans are supposed to have…even, and especially, in difficult times as these. So for my part, I will remember why I love IndyCar and try to once again make funny comments about this crazy sport and all the crazies that are as passionate about it as I am. I will do my best to get myself and my girlfriend who was with me in Vegas up to Sonoma this weekend and do my damnedest to find something funny and to share a laugh along with the tears with my IndyCar family. In times of tragedy, it has often been said that it’s too soon for a laugh, but for me, especially in tragedy, it’s never too soon. I will leave you with a couple pot-shots I took at Justin: one from 2011, another from 2012 and one from Long Beach. What if I were to tell you that there is a recurring motoring event in North America that involves drivers with varying skill levels, traveling at top speeds, in huge packs of 100 or more cars going six-wide – and it kills tens of thousands each year? You might say that it should be banned; you might call it an unnecessary bloodsport; you may even call the participants completely insane. But to millions, it’s simply called the daily commute. The prize purse for running this race is a day’s pay, and the trophy girl kiss is a loved one with arms open, or tail wagging, waiting for these “daredevils” to return safely home. As we re-live the tragic events of October 16, 2011 in the Las Vegas Accident Investigation report, we are reminded that IndyCar is still dangerous and that human life is always fragile, even for top-level professional racers driving some of the safest cars in the world. After the death of Dan Wheldon, the remainder of the race was cancelled, for several reasons, but the demise of a beloved race driver was not the only one. Some veterans like Mario Andretti wanted the race to resume, but in addition to the emotions surrounding the tragedy, the resulting attrition had decided both the series championship as well as the top rookie honors, and, it was the end of the season. Historically, death has been an acceptable and integral part of the art and craft of auto racing. Three weeks before my life began, the lives of Eddie Sachs and Dave MacDonald came to an end on the second lap of the 1964 Indianapolis 500 mile race. On that day, the track was cleared from broken bodies and charred cars, the racing resumed and a young driver named A.J. Foyt would go on score his second of four eventual Indy 500 wins. That’s life: you’re born, you live, you die, and then someone else is born to start the cycle over again. And, that’s racing, or at least that’s the way it used to be. Mario won the Monza Grand Prix that took the life of his teammate, Ronnie Peterson. A.J. restarted with the rest of the 1964 field and went on to win. And, the last time an IndyCar driver was killed on track, Paul Dana at Homestead in 2006, his teammates sat out the race, but the race did start as planned. The driver who went on to win that day was Dan Wheldon. Nowadays, the deaths on track are a rare exception to the rule. We used to be amazed at horrific-looking crashes that would end up with the driver climbing out of the wreckage alive, smiling and waving to the crowd. That has become the new “rule” and perhaps we have been lulled into a sense of security that racing is somehow safe now. But racing, and the daily commute, unfortunately, will never be 100% safe, but we can do all we can to make both safer for everyone involved. Whether it is under powered and over down-forced open wheel IndyCars jockeying for position on high-banked 1.5 mile ovals such as Texas or Las Vegas, or compact cars, semi trucks and SUV’s slugging it out on South Florida’s I-95 or any number of L.A.’s congested freeways, there will be dangers involved. Yes, racing is dangerous. And, yes, the daily commute can – and all-too-often does – become deadly. The cars, tracks and highways have been made safer over the years, most often as a response to tragic events, and that trend will continue, to be certain. But what remains is not the hardware, but the software; people – both racers and commuters – simply need to be better drivers and exercise better judgement. The only criticism about careless driving at the Las Vegas Motor Speedway came from the drivers themselves. “We need to take better care of each other out there,” one was quoted as saying. So use discretion on the track and on our public roads, especially during this Holiday Season when driving conditions may not be the best and the parties may be a bit too merry. 2012 will bring a new and hopefully an even safer car to IndyCar, one that Dan Wheldon helped developed and which carries his initials. The show must – and will – go on. The daily commute will still go on as well. Let’s just take a moment and put Dan in our minds before we go out and risk our lives and the lives of others on our nation’s motorways. Life is not a race; we will all drive the final lap and take the twin checkers as we cross the finish line sooner or later. The later the better. Celebrating 25 years of IndyCar-related humor, with a laugh at myself in a race car! ~Merry Christmas from IndySoup – see you in 2013! This week, Formula One triumphantly returns to the United States at a brand new race course as an internationally popular and well funded sport. Meanwhile, our own American Indy Car series is reeling from poor track attendance, low television ratings, financial woes and a lack of both vision and leadership. How is it possible that a gap this wide could exist between the two top tiers of open wheel racing, even though they share a common heritage, history and DNA? Or better yet, how can IndyCar regain its proper place as a world class, economically robust and popular racing series? Both IndyCar and Formula One are cut from the same cloth as open wheel, open cockpit all-out thoroughbred race cars. Manufacturers such as March, Lotus and McLaren have had success in F1 and at Indy. Both series have a rich history and tradition unto themselves; seemingly parallel worlds in the racing universe that have crossed paths many times over the years. From 1950 to 1960, the Indy 500 was actually a points scoring race on the FIA World Driving Championship schedule. Indy 500 winners who were also WDC winners include legendary names such as Jim Clark, Graham Hill, Mario Andretti, Emerson Fittipaldi and Jacques Villenueve. Other 500 winners like Mark Donohue, Bobby Rahal, Danny Sullivan, Eddie Cheever and J.P. Montoya also raced in Formula One. Three time F1 Champion Jackie Stewart almost won the 500 in 1966 and became the most beloved on-air driver analyst on the ABC broadcasts of the Indy 500, even when he was still an active Formula One driver. Ironically, even with all this crossover, the disparity between the two series became most pronounced when F1 actually raced at the Indianapolis Motor Speedway road course as the USGP from 2000 to 2007. The Watkins Glen and Long Beach Grands Prix were originally stops on the Formula One calendar as well. Many future CART drivers raced in Long Beach when it was the USGP West such as Eddie Cheever, Derek Daly, Roberto Guerrero, Kevin Cogan and Nigel Mansell. Mansell would go on to win back to back Championships in Formula One and CART (IndyCar), while Mario Andretti won at Long Beach under the banner of both series. While Indy and F1 cars look more like each other than they do with any other form of race car, there are profound differences between the two series. Formula One is truly world-wide, with each race taking place in a different country while IndyCar races almost exclusively in North America. F1 Grands Prix are run on purpose built road courses and temporary street circuits. IndyCar races on both as well, but the schedule includes various oval tracks around the country. The oval racing aspect is a rich part of IndyCar heritage that is not shared by Formula One and a major distinction between the two, making IndyCar a triple crown series that is unique to itself, requiring drivers to be more diverse and adaptable to the challenging variety of race courses in a single season. In the current state of affairs, the differences between IndyCar and Formula One have grown to such an extent that one might forget all they share in common. Internationally, top level open wheel racing has become analagous, in effect, to World Cup Soccer in that the sport is marginally popular in the United States while the rest of the planet is filled with millions and millions of loyal, enthusiastic and dedicated fans. Likewise, track attendance, television ratings and revenues are sky high and continue to climb in the world of Formula One, while dwindling popularity, internal leadership problems and rising debt plague the embattled IndyCar series. To complete the “futbol” analogy, NASCAR in the US is akin to American gridiron football; extremely popular in the States and almost non-existent elsewhere. Yes, IndyCar also shares much with the Stock Car series, including tracks and drivers who have raced in both disciplines, but the similarities end there. Realistically, IndyCar should (nor probably could) compete with neither NASCAR nor Formula One for viewership, attendance and revenues. IndyCar is an animal unto itself, a unique breed of cat with qualities that belong to no other. Therefore, all these contrasts and comparisons do not mean that IndyCar should compete with other series for their fans, rather, they should use the similarities and differences to forge their own rightful place in the racing firmament. This ‘grand triangulation’ is perhaps IndyCar’s greatest strength in the current climate: it’s a little like NASCAR, a little like Formula One and a whole lot like nothing else on Earth. While the faithful choir of die hard IndyCar fans know this intuitively, the biggest potential for increasing viewership lies with the ‘sleeping giant’ of would-be fans who, quite simply, are underexposed and unaware of what this series is all about. And, many don’t even know it exists beyond the Indy 500. Thus, the elusive fan base needed to grow the sport is already out there, waiting in the wings for a cue to enter the stage and participate in the drama that is IndyCar. These are the people to whom NASCAR and Formula One are irrelevant; those who don’t jive with the oft repeated “wreckin’ is racin’” mantra in stock cars, and who also can’t get onboard with with an elite Euro-centric F1 that doesn’t have an American driver or team and seems as far removed from their lives as Singapore is from Indianapolis. Enter IndyCar. Unfortunately, the IndyCar Series is America’s ‘best kept secret.’ This seems almost impossible to believe, considering all what it has going for it: the Greatest Spectacle in Racing (a.k.a. Indy 500), a truly diverse discipline that attracts some the best drivers from around the world and the greatest ambassador humanly possible in the form of Mario Andretti, who attends every race and often leads the first lap. Other Indy stars who have been household names for decades, like A.J. Foyt and Johnny Rutherford, are also at the tracks each week but not as honorary legends hauled out of mothballs to wave at the crowd and sign a few autographs. No, these legends are too busy for all that: Foyt runs his team and Rutherford has been driving the pace car for over ten years. Does the casual fan even know this? At the Toyota Grand Prix of Long Beach this year, I counted over 20 Indy 500 victories (about 25% of the total 500 wins!) that were present in the paddock and pit lane. Franchitti, Castroneves and Dixon have rings as active drivers; Foyt and Rahal as team owners; the aforementioned Lone Star J.R. in the pace car; Arie Luyendyk in the 2-seater, and, delivering the best “Drivers start your engines!” command in recent memory was Grand Marshall and 1963 Indy 500 winner, Parnelli Jones. Yes, while the millions of fans who were there during the golden era from the mid 80‘s to early 90‘s have gone out to pasture, those guys, these legends, never really retired and are still showing up on race days – because they are still working! The Secret Society of IndyCar is about to blown wide open with this week’s United States Grand Prix in Austin, Texas. With all the world’s attention on the 2012 F1 Championship battle focused on this new circuit, it may very well “leak out” that North America has it’s own world-class, open wheel, open cockpit racing series right here at home. The cat will be further out of the bag next year when a much anticipated racing movie is released. I’m not talking about the animated story of a snail who wants to race the Indy 500, which includes the voice of 3-time 500 winner Dario Franchitti. This flick will no doubt be charming and entertaining, perhaps even becoming a family classic. No, the film that will most likely bring IndyCar out of the where-are-they-now file is Ron Howard’s “Rush,” about the dramatic and compelling drivers and stories involved in the 1976 Formula One season. How could this be relevant to IndyCar, with unfamiliar names such as James Hunt and Niki Lauda, you ask? Will Howard make an awesome movie about something relatively obscure to an American audience that they will actually love? His 2001 movie, “A Beautiful Mind,” which was about a mathematician from West Virginia who went insane, won 4 Academy Awards® including Best Picture. Check. Does Howard know how to make an exciting action film that centers around technology, hardware and guts of steel heroes? I think “Apollo 13” has that one covered. Check. But with all those foreign sounding names of drivers, cars and race courses and with the events portrayed now almost 40 years past, will the movie “Rush” resonate with people in the States? Well, there’s at least one name we all will be familiar with who raced with Hunt and Lauda at places like Zandvoort and the Nürburgring in 1976. That name belongs to the same man who drove the opening lap in a Lotus 79 at the dedication of the new Circuit of the Americas in Austin, TX just a couple weeks ago: That name is Mario Andretti. So yes, Formula One does matter to IndyCar. Or at least it should.